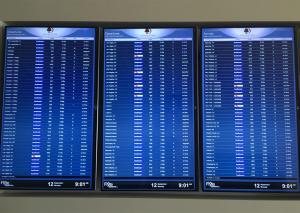 The DoubleTree by Hilton Hotel Dallas-Love Field provides guests with two FlyteBoard departure screens and one arrival flight information display. 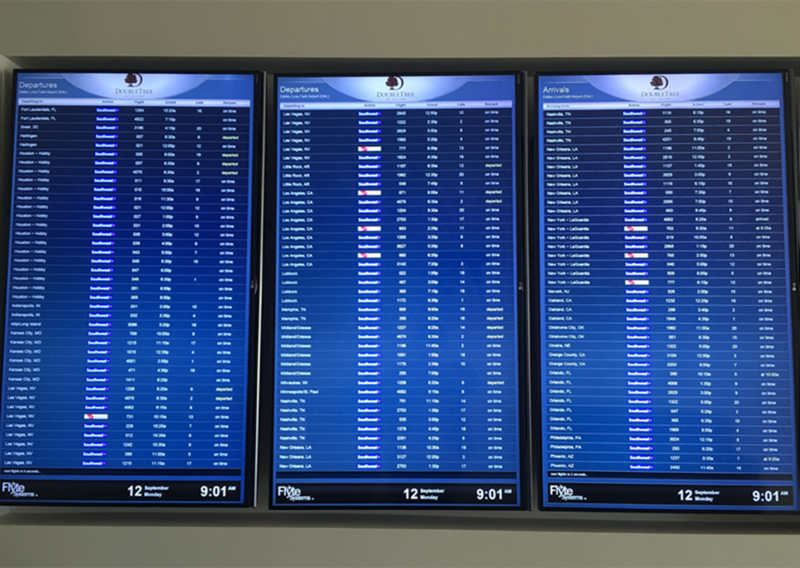 All screens are large 55” displays inset flush with the property’s renovated lobby walls. The property offers 24-hour airport shuttle service. Its Sports Page Grill offers large flat-screen TV’s and a fully stocked bar that features steaks, sandwiches, salads and a breakfast buffet. The property is ideal for conferences, training seminars and memorable weddings with its 14,000 sq. ft. of flexible event space, and 12 versatile meeting rooms.